We are available by appointment only. All prices subject to HST. Cockapoo puppies: Sorry now all SOLD! **We also sell dog training bells to train your dog to go outside! $20 plus HST. Ask for details. 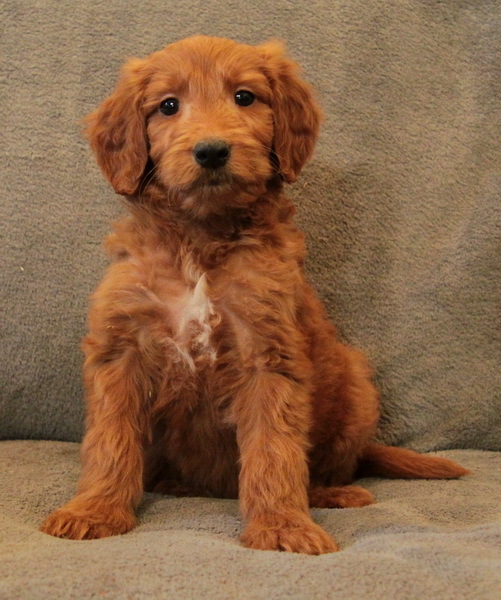 **If now is not a good time…please join our waiting list through link above for info on next goldendoodle and cockapoo litters. Thank you!! Join our growing Curious Puppies Facebook family!! 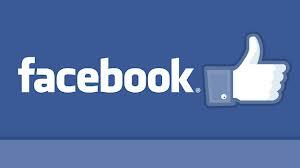 “Like” us and follow us on Facebook!! Post pictures of your pup and share your gorgeous new family member! Find siblings on there too! Click the blue facebook button to join! Also leave us a photo or two of you and your puppy as well as your story. We’d love to hear from you, whether yours is one of our Curious Puppies or not! Curious Puppies your Favourite Pet Adoption Service! This is the Happy Puppy page where you will find our currently available puppies for sale. Over the years we have established a small network of registered breeders with whom we work together (co-breeding) and foster their puppies for sale when they are ready to be weaned from their mommy. Our puppies for sale are always checked by a certified veterinarian and have received their first shots and are dewormed. Our most common breeds are: Cockapoos, Goldendoodles, Cocker Spaniels and Golden Retriever puppies. Please Note: these videos/pictures are from previous litters and are here for reference only. Available puppies for sale are listed above. Cockapoos are probably our most popular puppies we have for sale. They are fun loving, smart and all-round great family dogs. In most cases great for people with allergies as they don’t tend to shed much – we do recommend to ask us about this, as some Cockapoos can certainly shed and can have dander loss. They are super healthy dogs, great for families with your children. Mischievous (in a good way), curious, friendly, lively, social, spunky, are common descriptions for our Cockapoo puppies. You just can’t help but smile when you see them. These kinds of dogs will never give your household a dull moment. From the occasional lazy couch potato moments to the star of the dog park, you will get noticed with one of our Cockapoo puppies for sale here in Ontario! Goldendoodles are our other favourite breed. They are such loyal, intelligent and fun loving dogs. Most of the time we have Standard size Goldendoodles, but we occassionally also have some Mini Goldendoodle Puppies for sale as well. 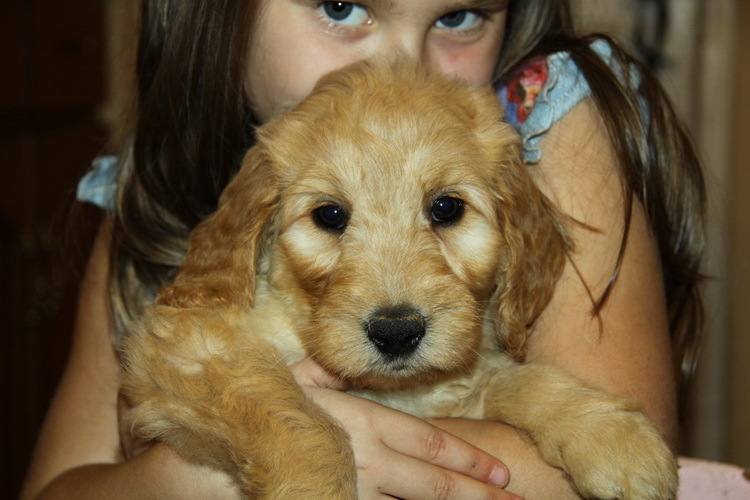 We get a LOT of referrals from people who have bought our Goldendoodle puppies. Our Facebook page is covered with updates and pictures from families who bought our Goldendoodle puppies. Known for their great and family-friendly personalities, Goldendoodle puppies are the coolest dogs to show off. The Goldendoodle is known to be an extremely versatile breed. They are fantastic with children and can also be used as guide dogs or therapy dogs. Their natural ambience, loving personality and affection is what helps people who need a little extra help. In most cases they are hypo-allergenic and are great for people with allergies. We do however recommend you ask us if a particular Goldendoodle litter we have is suitable for your circumstances, as not all of them are hypo-allergenic and non-shedding. The main rule-of-thumb: the curlier, the better for allergies – but still verify with us. 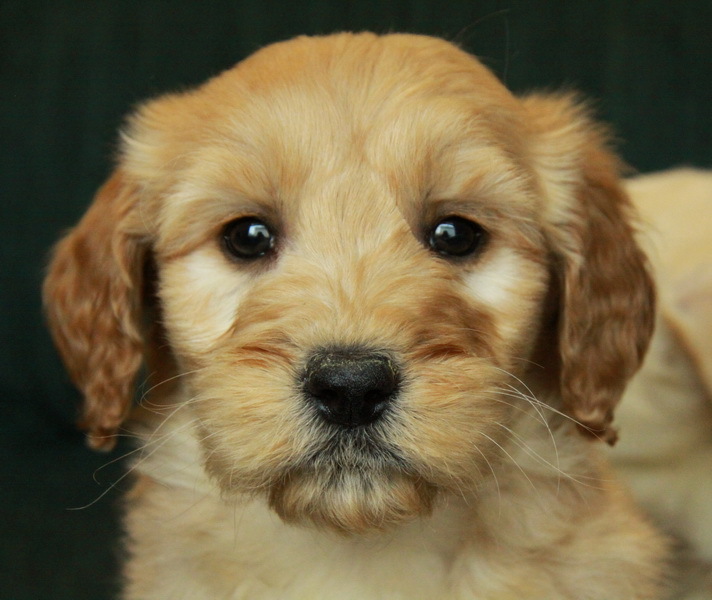 If we don’t have any Goldendoodle puppies or Mini Goldendoodle puppies for sale at the moment you can sign up on our waiting list, see link at top of page. 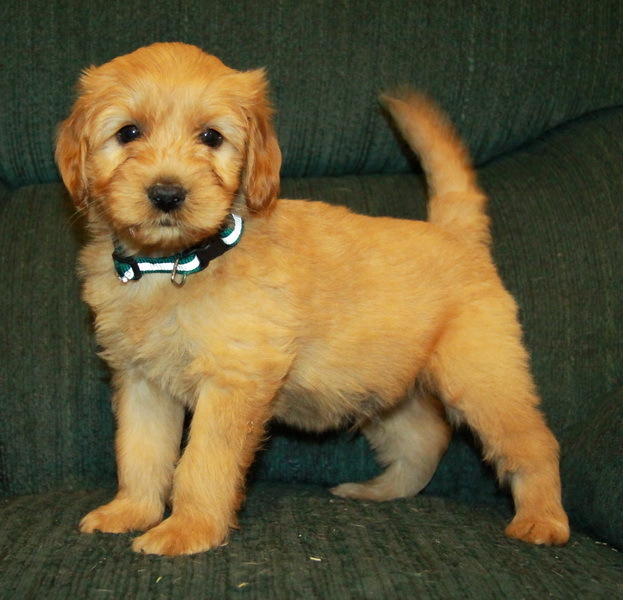 You will then be notified as soon as we have a Goldendoodle Litter for sale! Here are some pictures from previous Goldendoodle litters. Sorry, we are do NOT ship any puppies – our puppies are local pick up only. Thank you! We are located in Hamilton, Ontario. We prefer to sell our puppies to you personally. If you need a puppy shipped, you will need to make those arrangements with a family member or friend in the area who can come to our home to pick up the puppy and take care of the details. Please keep in mind that from mid-December to mid-January no airline company will fly any livestock due to Christmas holidays. Also extreme high and low temperatures may affect flight schedules. If you have any questions or would like to know more about the puppies or would like to set up an appointment to see the puppies, you can contact us here or call us at 905-393-8827. For faster service about our puppies for sale we recommend you call us, as we may only check emails once a day.